Before White was able to become a full-time artist and teacher, he worked for nearly a decade in Newark, Ohio, balancing a bookkeeping job with his avocation as a photographer. Featured in the third issue of Camera Work, White received international recognition for his work. 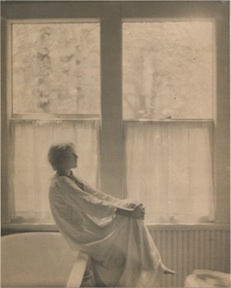 His strength was composition, prompting one critic to write: “Study White carefully for what he can teach you about the proper adjustment of his subjects to the spaces they occupy.” In 1906 he moved to New York and assisted Alfred Stieglitz in the operation of his newly opened gallery. When White first began teaching, the medium of photography was coming into its own as a means of artistic expression, and its advantages for communication had been acknowledged. 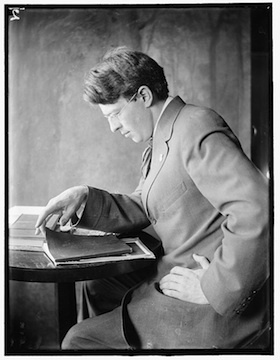 Photographs were preferred over wood engravings and often over drawings for illustration in newspapers and magazines. The use of photographs in advertisements was on the rise. But no place existed for people to learn how to use the camera in the art of seeing. 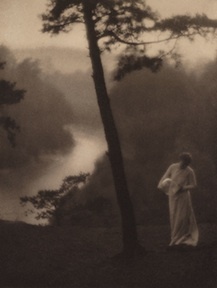 Charismatic amateur photographer and teacher Clarence H. White was inspired to found a school that would advocate applying art principles to professional and commercial as well as art photography.